The “Hunger Games” actress Jennifer Lawrence is officially engaged to boyfriend Cooke Maroney. After dating for more than eight months, the “Red Sparrow” actress Jennifer Lawrence got engaged to boyfriend Cooke Maroney. 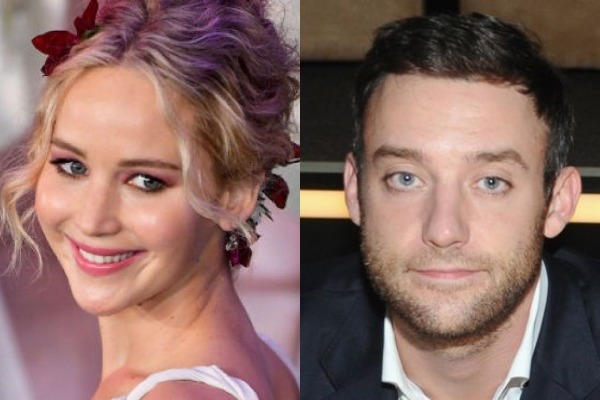 Jennifer Lawrence, 28, and gallery director Cooke, 34, started dating since last spring. After got introduced by Lawrence’s closest friend Laura Simpson, the couple became talk of the town after spotted walking arm-in-arm through New York City in June, last year. Jennifer Lawrence’ engagement news became official after the actress was seen showing off a ‘giant rock’ on her finger while the newly engaged couple stepped out to dine with friends. 2012 Oscar winner Jennifer Lawrence appeared in Time‘s 100 most influential people in the word-list in 2013. She also remained to be highest-paid actress in the world in 2015 and 2016. Lawrence became a worldwide star after her blockbuster film series “The Hunger Games” in 2012. Jennifer Lawrence’s soon-to-be-hubby Cooke Maroney do not belong to Hollywood family, but has got powerful background. James Maroney , father of Cooke, was an art dealer in Manhattan and previously served as the Head of American Paintings at Christie. Cooke Maroney is an art history graduate from New York University. After working at the prestigious Gagosian gallery, he is director at the prestigious Gladstone 64 gallery in New York’s Upper East Side. The gallery include names of prominent personalities like Carroll Dunham, Richard Prince, Anish Kapoor and Lena Dunham’s artist father, to name a few. Jennifer Lawrence kept a low key profile, as compared to her past love affairs. Lawrence earlier dated with ‘X-Men: First Class’ co-star Nicholas Hoult from 2010-2014. Her most recent affair was with 49-year-old director Darren Aronofsky.